Jinvali water reservoir and Ananuri fortress. 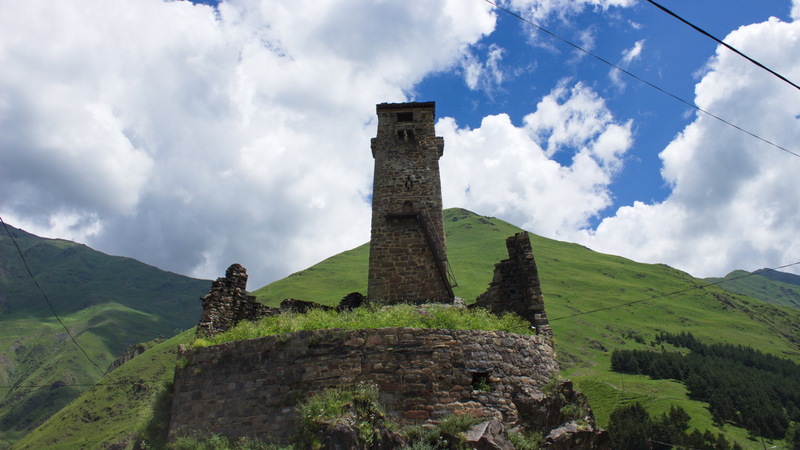 Day 1: Kazbegi is the most popular and frequently visited mountain area of Georgia, it is only 3 hours to drive from the capital – Tbilisi. Most tourists are coming here only for one day and return to Tbilisi in the evening, without exploring narrow mountain valleys deeply. 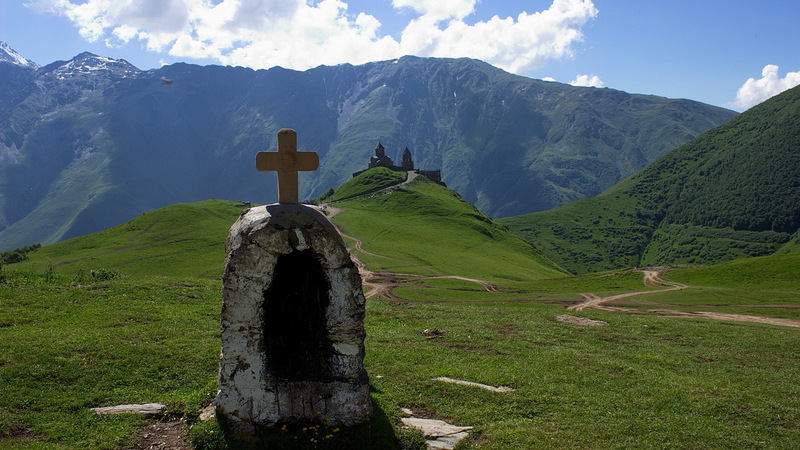 Road, which connects Kazbegi with Tbilisi is known as Georgian military road, name given to the path during Russian empire rule. 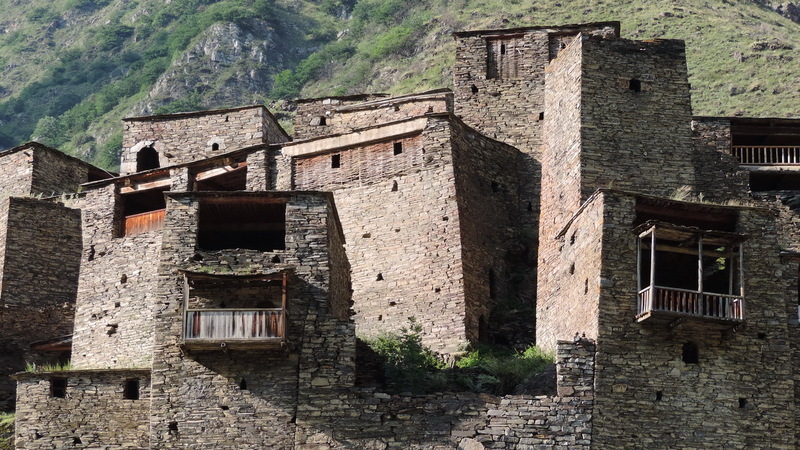 On the way we will stop to visit Ananuri fortress, stronghold of Aragvi gorge. Day 2: Challenge trekking day through Chaukhi mountains. After good breakfast trek starts in amazing Chaukhi valley. Soon pass will be approached. 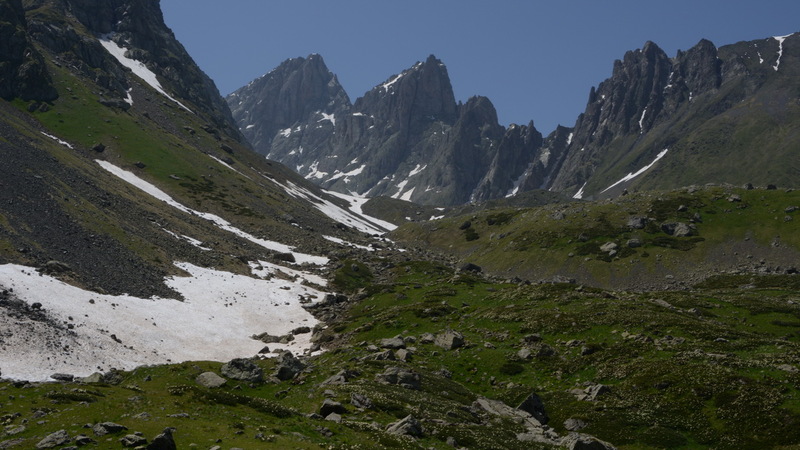 Starting point is 2200m and maximal altitude is 3300 m above the sea level. On the other side of the rocky mountains are located three beautiful lakes – white, just in bottom of glacier, blue and green, these lakes are called Abudelauri lakes. Overnight in village Roshka guesthouse, where good dinner will be served. Day 3: This day will be more relaxed then previous. After breakfast jeep tour to Datvijvari pass, on the main Caucasus range. 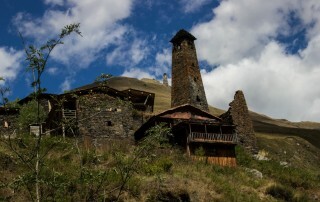 Visit abandoned villages Lebaiskari and Kistani, the last one includes some hike also. Arrival to Shatili, after some walk in the village continue to abandoned graves in Ardoti, just next from border and empty village Mutso, where is possible to make lunch brake. 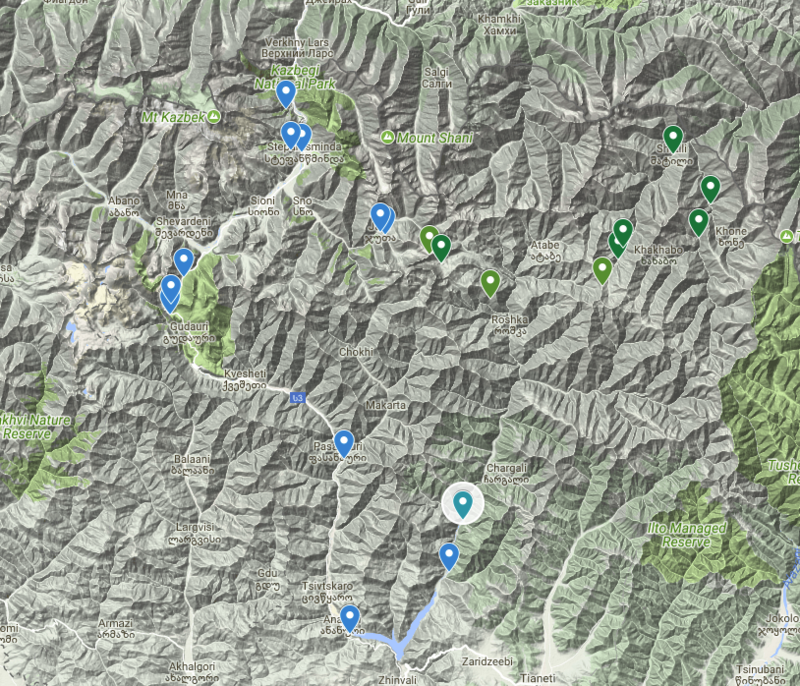 Here is possible also horseback tour, from Shatili to Mutso, distance is 15 km one way. If time allows we will visit one more village – Ardoti, where only one family stays. Dinner and overnight in Shatili guesthouse. Price includes: 4*4 vehicle service (max 6 tourists), guide service, luggage transportation from Juta to Roshka by car, guesthouses in Juta, Roshka and Shatili. FB meals, rafting. Price does not include: Horses in Shatili, insurance, tips.